- Delivery: The Folger Adam 310-2-3/4-24D-630 is in stock and available to ship. 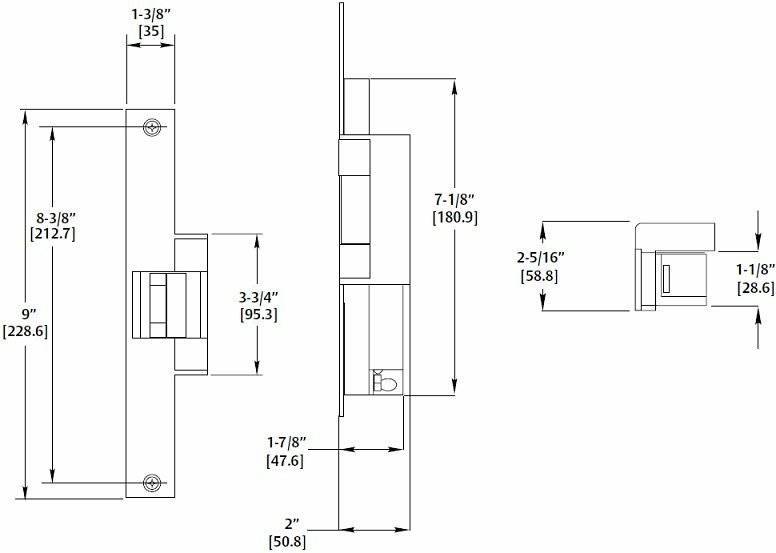 This heavy duty electric strike is used with cylindrical locks, mortise locks and mortise exit devices with a 3/4" throw latchbolt (without deadbolt) on single doors. Note: 3/4" keeper standard. - 3/4" keeper depth (310-2-3/4).